Look for News10's Dan Elliott to be at 7907 Fair Oaks Blvd., Carmichael 95608 this Friday, February 27, and he won't be alone. Sacramento County Board Supervisor Susan Peters, Jesuit High School Coach Greg Harcos and members of the varsity basketball team, Carmichael Recreation and Park District District Administrator Tarry Smith, and Chamber of Commerce Executive Director Linda Melody will be there, too. News10 My Neighborhood's Amy Jacobson Kurokawa will also be there. 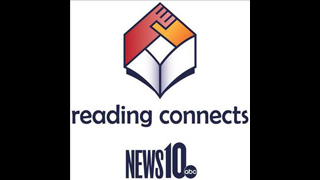 We'll share all the excitement happenings on the News10 My Neighborhood sites and be available to anyone who has a news story to share.